ResourceFirst™ is a multi-platform hosted solution that uses resource management as a foundation for strategy and portfolio execution. 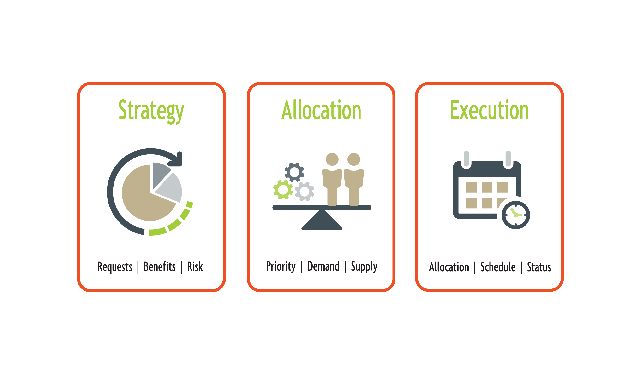 For modern organizations to compete successfully, they must have Strategy, Allocation and Execution data available at all major decision points. ResourceFirst™ promotes a culture of role-based data capture and communication through improved Resource Management, Strategy Execution, Project Portfolio Management (PPM), and Program Management Office (PMO) operations. ResourceFirst™ Solutions touch on multiple process areas and may be implemented in the order of greatest need.